1. Compared with the hammer crusher, the impact crusher has the following main technical advantages. (1) It can effectively treat materials with large moisture content and prevent clogging of crusher. (2) Impact crusher is suitable for both soft materials and very hard materials. (3) It is convenient and flexible to adjust the discharge granularity and wide adjustment range. (4) Wear parts are less worn than hammer crushers and have high metal utilization. (5) Easy replacement of spare parts and corresponding reduction in maintenance costs. 2. Impact crusher technical features and advantages. First, the mechanism of the fracture. The dry-process cement process limestone uses a single-stage impact crusher to generate crushing of the material along the joint level, and the discharge material has a uniform cubic shape. Second, the structural characteristics. The multi-stage counter-attack chamber of the impact crusher has enough crushing space and is suitable for the crushing of large materials. 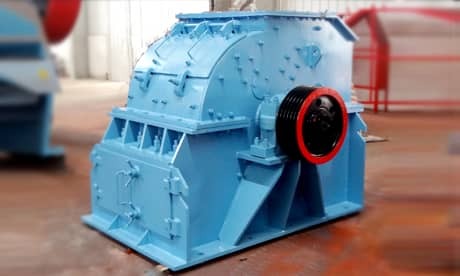 The angle of the counterattack of the impact crusher can be adjusted to ensure that the material is at an appropriate angle during repeated impact between the counterplate and the rotor, which can effectively improve the crushing efficiency. The step-by-step counter-crushing process can effectively reduce the energy consumption during the counter-crushing process. Third, use effect. The impact crusher has unique working mechanism and structural design characteristics. 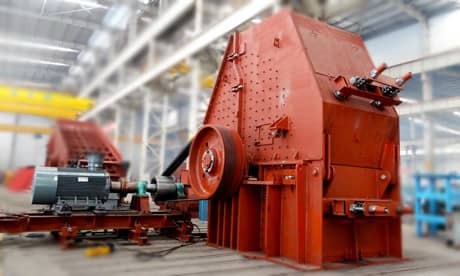 Compared with the hammer crusher, the counter-attacking crusher has obvious technical advantages in performance: the discharge particle is uniform and cubic, the fine powder and dust content is low, which is especially suitable for the operation of vertical grinding. Low cost of operation investment; The total weight of the counter-attacking crusher is lighter than that of the hammer crusher, the shape size is small, and the dynamic load value is low, which can effectively reduce the civil cost. Low motor power required can effectively reduce equipment power consumption and operating cost. The vulnerable parts of the impact crusher have a long service life and low long-term operation cost.